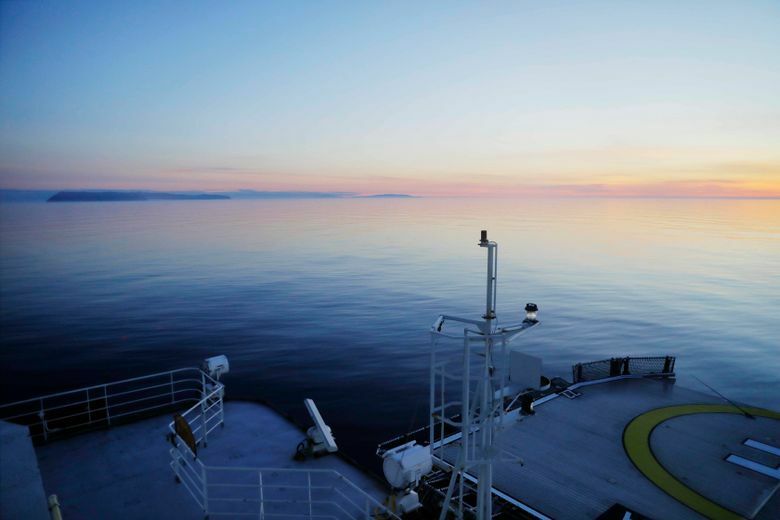 The International Maritime Organization, an arm of the United Nations, accepted routes proposed by the United States and Russia for safe navigation in the water between Alaska and Russia’s Chukotskiy Peninsula. The action designated routes for northbound and southbound traffic on both sides of the Diomede Islands within the Bering Strait, a chokepoint about 50 miles (80 kilometers) wide between the northern Bering Sea and the Chukchi Sea. Six areas of precaution are noted. The maritime organization also designated three areas to be avoided around Alaska’s Nunivak, King and St. Lawrence islands. “This is a big step forward as the U.S. Coast Guard continues to work together with international, interagency and maritime stakeholders to make our waterways safer, more efficient and more resilient,” Mike Sollosi, chief of the agency’s Navigation Standards Division, said in a statement. The routes take effect Dec. 1. Their use is voluntary but they ensure mariners that they can transit in deep water without natural obstructions. 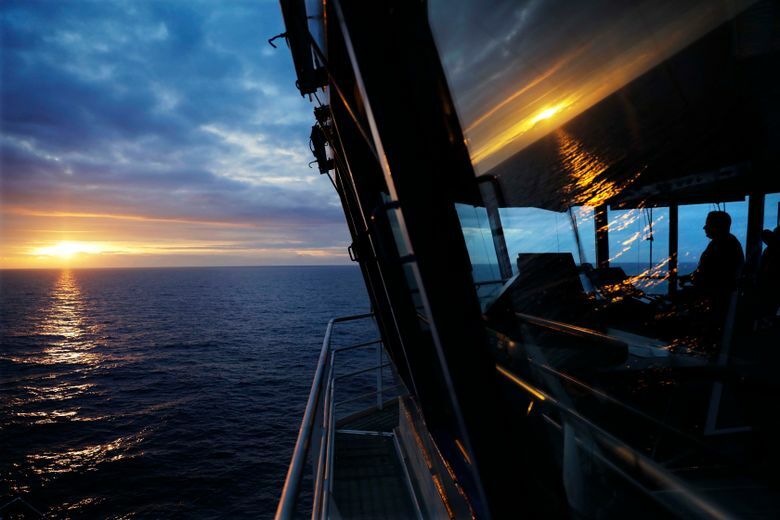 The Coast Guard spent nearly a decade working on safety measures in response to additional Bering Sea and Arctic Ocean ship traffic that followed diminished sea ice brought on by climate warming. The work culminated with a Coast Guard port access route study submitted last year. Environmental groups pushed for safe shipping measures. They say there are few resources north or south of the Bering Strait to respond to a spill that could cause serious damage to important marine resources such as bowhead and beluga whales, Pacific walruses, ice seals, spectacled eiders and other seabirds. “These measures will keep vessels on the safest course and reduce the risk of them running aground, colliding, or interfering directly with subsistence hunting,” said Eleanor Huffines of Pew Charitable Trusts. The routes do not limit commercial fishing or subsistence hunting. The eastern Bering Sea along Alaska’s coast is biologically productive in part because it’s shallow. Average depths in the eastern Bering range from 20 to 245 feet (6 to 75 meters). The Coast Guard plotted lanes ensuring ships of water depths of at least 60 feet (18.3 meters). Austin Ahmasuk, marine advocate for Kawerak Inc., representing 20 Alaska Native villages in the Bering Strait region, traveled from his home in Nome to London to push for the routes. The region is “massively unprepared” for oil spill response, he said. The three areas to be protected are in the Bering Sea and represent hazards for ships, Ahmasuk said, but also are important cultural, historical and subsistence hunting sites for Alaskans. “Hopefully, everybody will play by the rules and these routing measures will mitigate impacts from shipping,” he said. St. Lawrence Island is home to walrus hunters in the villages of Gambell and Savoonga. Nunivak Island is home to the village of Mekoryuk. The maritime organization delayed designation of the Diomede Islands, within the Bering Strait itself, as a protected area. The islands hold nesting colonies for nearly 7 million crested, least and parakeet auklets and other species, the largest bird concentration in Alaska. “Hopefully, that will occur in the future,” Ahmasuk said.